If your house is anything like ours, there are toys everywhere, yet your kids have little to no interest in any one toy. There are a million distractions, but you still can’t seem to make a phone call without them interrupting you. Sound familiar? All of that changed when I learned how to start a toy rotation system. Our house being absolutely covered in toys and tripping hazards was a huge source of stress for my husband and ended up being a battle I just couldn’t win. Our boys just love all of their toys, especially when I’m about to donate them, yet they hardly ever sit down to actually play with a single toy for any length of time. Instead, our massive amount of toys just added up to a ton of confusion for our kids when picking a toy to play with and a TON of stress for us as we purchased more and more organizing things to try to corral all of those toys. The answer to our problem was so painfully obvious. I’d read about toy rotation systems before, but it seemed stupid to me. Why not just get rid of the toys if they’re not going to play with them? Why did we pay good money for all of these toys (or accept them as gifts) if we were just going to put them away and not play with them? Because it’s an absolute game changer and if you still don’t think it will work for you, humor me and try it for just a day or two and you’ll be on my team. …And…we’re gonna maintain it in 10 minutes or less. Here’s exactly what I did. I bought these exact same clear totes that would stack nearly on top of each other in our play room (we have a closet in there but a garage or even a corner of the room works too. Having clear totes lets you see what’s inside so you can rummage around for that prized toy when your toddler throws a fit looking for it. Trust me. Clear is best. Need to Implement Toy Rotation on a Budget? Don’t let expensive bins stand in your way of learning how to start a toy rotation system in your home. Either buy the solid color plastic totes and label them or get some cardboard boxes. Anything is a step in the right direction from a home with no toy rotation system so just start now and upgrade later if you love it. Look at everything in one place. I risked giving my husband a heart attack by bringing every single solitary toy into our living room and dumping them all into a huge heap. This allowed me to see the sad truth about just how many toys had taken up residence in our home. Take this time to get rid of anything missing pieces (if they’re not in your sad pile, let just assume you’re never going to find them) and anything that’s clearly junk. For me, this meant getting everything set up and then committing to maintaining it. I understood we had way too many toys so it was going to take a few hours to set up, but then I NEEDED this to be manageable going forward. I wanted to spend only 5 minutes a night cleaning up toys and I didn’t want it to be a fiasco when we decided to switch out toy bins. 5 minutes on the actual rotation sounded too good to be true, but it was my goal and I stuck with it. I (narrowly) avoided the urge to be too organized about this and pick out puzzles, STEM toys, etc and just started organizing toys into bins. The only way I decided what went in each bin was by putting a Little People toy or two in each one and then fitting as many toys around it as would fit neatly in each bin. I kept out the toys that are played with on an almost daily basis, including all of the Little People people because…Little People toy in each bin meant either dividing up the little people and giving myself a migraine, or just keeping them all accessible every day. The toys that our kids play with every day are their magnet tiles and the Little People farm. I wanted to encourage them to keep playing with these, so it was an easy choice to leave these two toys out all the time. Side note: Our magnet tiles have been a hit for months and we play with them every single day – our 2 year old and 3.5 year old still aren’t bored with them. I couldn’t justify the crazy expensive name brand ones, so I ordered this knockoff brand from Amazon and we absolutely LOVE them. Every other toy became part of our toy rotation system. How Often Do You Switch Out the Toys? I get this question a lot and I’ve read varying answers from people online. Some people switch theirs out only once every 6 months, but that seems crazy to me. Kids grow so fast and change so quickly that I feel like they’d play with each toy maybe twice before they outgrow it. In our house, we try to switch our toy bins every single week. Wait, but isn’t toy rotation a ton of work? No. It’s actually incredibly easy the way we do it and takes just 10 minutes each time we switch. When we open a toy bin, we put a few toys in our living room, the rest in our play room and that’s that. We don’t go crazy organizing them. We put the big bulky ones into our toy box (this is the one we use and love) in our living room and move on. It takes literally 5 minutes. Each time you switch out the toys, it should take you 5 minutes (set a timer!) to gather all of the toys back into your clear bin. 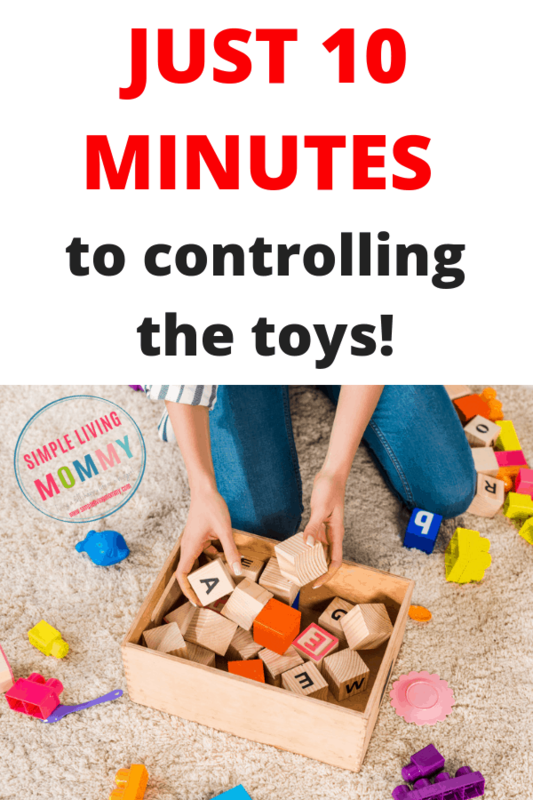 If it takes longer than 5 minutes, you have too many toys out! You’d think cleaning them up to switch to a new bin would take forever but I promise you, it takes us just 5 minutes. 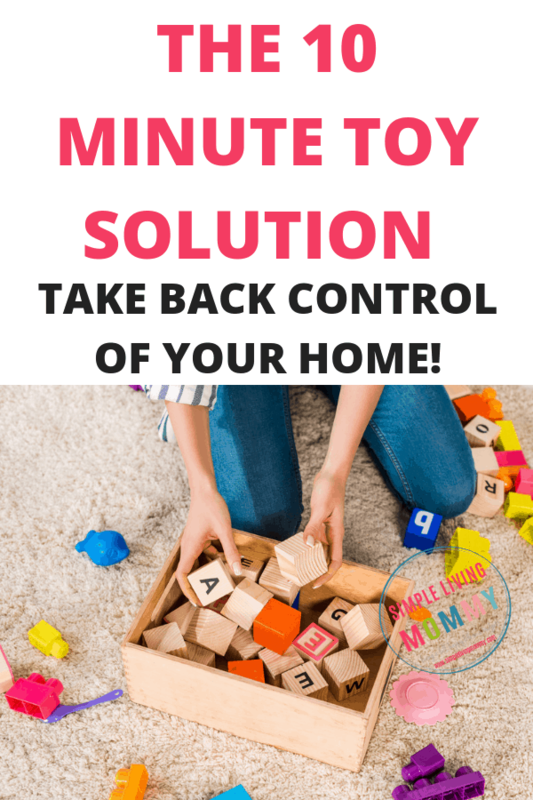 You can clean up all of the toys at the end of the day in literally 5 minutes. Don’t Kids Get Bored with Toy Rotation? In fact, something that absolutely blew my mind about this new toy rotation system is that our boys were so excited about the “new” toys making a reappearance that they didn’t care about the ones we’d put away. Toy rotation had an unexpected benefit in helping me decide which toys to get rid of. With so many fewer toys out every day, it becomes really obvious which toys are favorites and which aren’t getting played with anymore. If I think about it, I make a quick note in my phone or planner which toy hasn’t been played with at all during the whole week it was available to the kids. If the toy makes it through the next rotation without being touched, it’s getting a new home. Sometimes, I’ll put a toy away for our younger babies to grow into, but this is rarely the case. If it’s a wooden toy or if I bought it brand new, I’ll probably keep it. If it’s a toy I already bought second hand or if it’s been really well-loved by the kids, I’ll put it on Facebook for extremely cheap or free and let it get a new life at a new home. This is a question I think almost all parents with more than one kid ask when they’re contemplating a toy rotation system.Is it possible when your kids are different ages? Especially if there is a significant age gap? 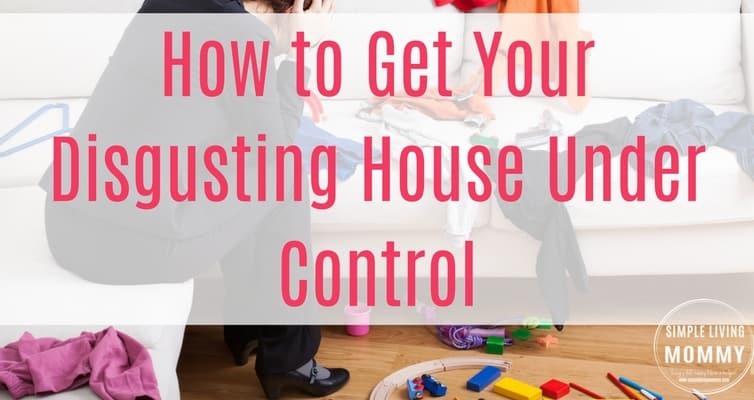 Like anything, the key is to have a system that works for you, but even with our kids who are close in age, we have one kid who is playing with a toy and mastering all that it can do while our younger two show no interest. You have to remember that the point of a toy rotation system is to save your sanity AND keep our kids interested in their toys. 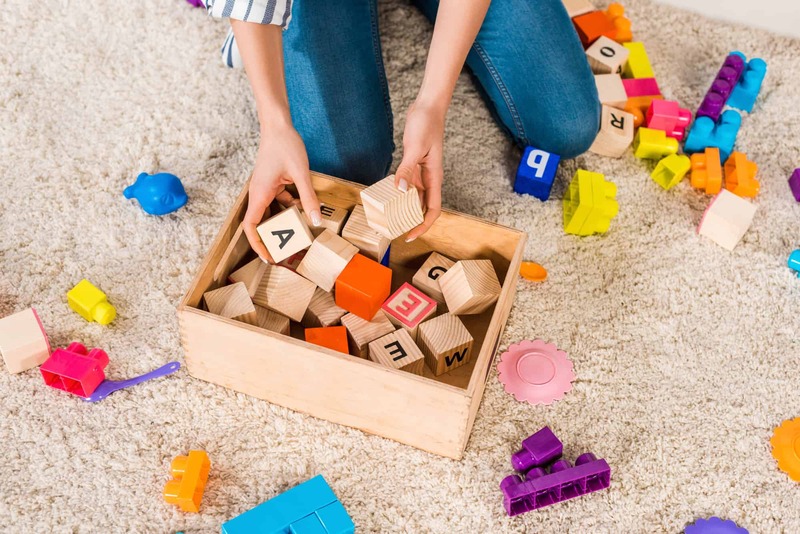 If your kids are different ages, simply decide how many toys you are comfortable having throughout your house and pick containers to suit your choice. It’s also important to remember that you can change out your toys as often as you want. Are you comfortable having less toys out at a time? Simply rotate your toys more often. Don’t mind a little toy mess and don’t want a ton of bins sitting around all the time? Just rotate your toys less often but allow for more toys to be out. Can Your Kids Help with Toy Rotation? Yes, and they absolutely should. When you are cleaning up the toys at the end of the day, make it part of the nighttime routine to “speed clean” your toys. My 3 year old is a pro at this. I don’t mean in the “oh how cute, he’s trying to help” way. No, I mean he actually cleans up the toys and the living room is spotless before bed each night. These are amazing life skills to teach your kids early that will help save your sanity in the long run. Do kids actually need toys? I’m a huge proponent of simple living and even practicing minimalism. Any parent who has ever given their child a toy knows that your toddler is happiest when playing with the box the expensive toy came in. I firmly believe that you can implement a toy rotation system even if your kids don’t own a ton of toys. 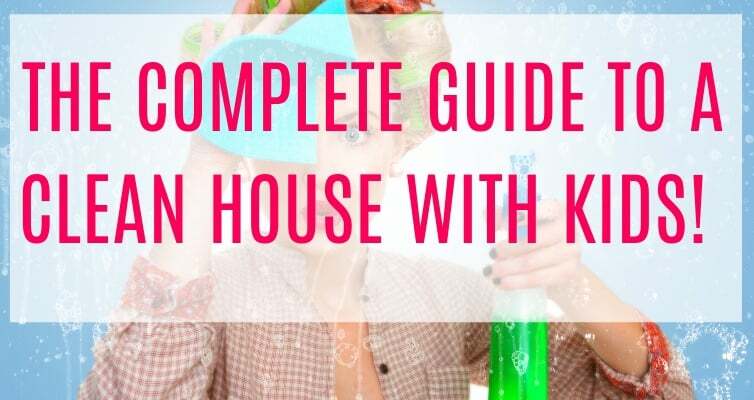 Even if they only play with the kitchen utensils and various other household items, as long as you’re rotating the items that hold your kids attention on a daily basis, you’re reigniting their interest in the item and doing your kids a HUGE favor. Listen, a ton of toys is incredibly overwhelming. A child with tons of toys isn’t a spoiled child. They’e a confused child with too many options. Just give your kid a ton of toys and watch what they do. Do they ignore the clutter and focus on one you and play with it at length? 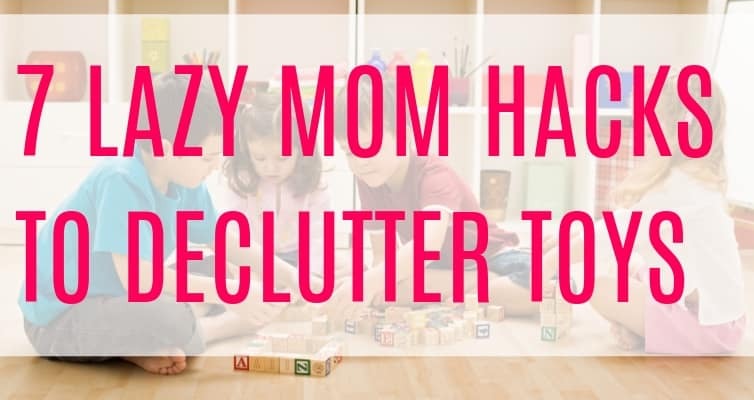 More than likely, they dump all of the toys out of one bin and then move onto another toy and then another and are clearly overwhelmed with too many options and no real desire to focus on any one toy. If you’re happiest with a room full of toys, by all means, don’t let me sway you. I’m willing to bet you made your way to this post because you’re just a little overwhelmed (or if you’re like me, your spouse is) and you’re looking for a change. Give toy rotation a try and let me know how it goes! 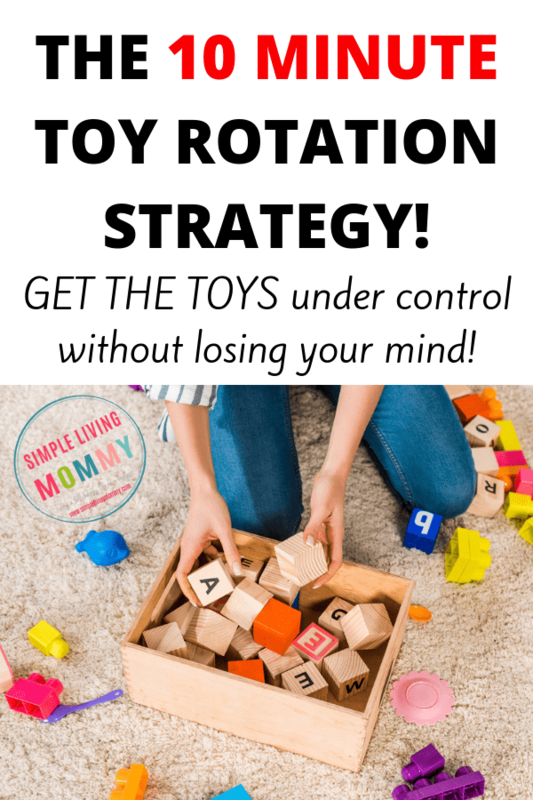 Have you ever tried toy rotation in your home? What worked? What didn’t? Let me know in the comments!